The New Revised Standard Version is the translation preferred by mainline Protestant churches, Orthodox churches, and by many Catholics. The NRSV is recognized in many scholarly circles as the most accurate translation into English of the original Hebrew and Greek texts. In the tradition of its predecessors, the King James Version and the Revised Standard Version, the NRSV was designed to be the "standard" version for English–speaking people across all denominations, which in many ways it has become. Unlike some of the new, more sectarian translations, the NRSV maintains the highest standards of elegance and accuracy. This edition NOW INCLUDES the Apocrypha. I have purchased several bible translations and use them all in my studies. E-sword is my go to bible software. This is the version that we use at my church. Beautiful. My only complaint is that the words of Jesus is not in red. That would make his words stand out more. I still give the NRSV 5 stars. I grew up on a New Revised Standard Version I'm looking forward to reading the e-Sword version through when I'm done with the CJB for e-Sword. NRSV is a welcome addition to my eSword bibles. The NRSV matches our pew bibles. Although, not my personal favorite translation, it prevents confusion arising from the liturgy not matching what the congregation is reading. I found this bible to be extremely helpful and well presented. I have been using E-Sword for several years. Immediately when I upgrade my PCs ESWord is the first program installed. I love that fact that when I could not afford such awesome tools for studying Gods Word. ESWord was absolutely free. As I grew and began to teach, I discovered how even more amazing ESword is!!! I needed more resources and discovered they were available at premium prices that are blessingly affordable. The NRSV is what's use on the Lectionary Site. I now prepare my lessons in ESWord and its always on my screen for teaching and studying. Thank you ESWORD for being a blessing to so many, and for your obedience to our Heavenly Father!!! To God Be The Glory!!! The NRSV has been a trusted translation in my library for years so it was a natural to add a copy to e-Sword. The e-Sword NRSV is a sound translation and an excellent base for in-depth Bible Study. I have found the New RSV very helpful. Easier English language phrasing, and seems to be very close to the King James version. I like it ! I am delighted with my NRSV of The Bible. I was apprehensive in the first instance, about the method of inclusion into e-Sword.However, the instructions for the code were so clear and precise, it really surprised me at the speed and simplicity.The included Apocropha in NRSV will be most useful for backgound information. I am getting used to e-Sword gradually, as technology is quite a challenge to a seventy-three year old G.Grandmother. There will be some wonderful reading experiences ahead for me with so many other available books and devotionals from e-StudySource.Thanks for the opportunity to review! To fill in for home Bible study. What can I say that you don't already know? Esword and associated e publications are amazing. The price v value is insurmountable. Only the best is allowed on ESword - no worries about junk. I have been using e_Sword.net for years. In my judgment, it is the finest, easiest-to-use Bible software available, yet with scholarly resources. When I purchase new modules, the payment/download process is simple to complete. When I need technical assistance, Rick Meyers and staff are always helpful. I am a retired US Army Chaplain and Presbyterian Church (USA) Pastor/Teaching Elder. I conduct Bible studies, prayer breakfast and organizational Bible talks, and other events. I always use e-Sword and tell my audience how effective and helpful it is. I give e-Sword a 5-star rating!! I was very pleased with the eBible's faithfulness to the written Bible. I have been a faithful eSword user for at least 10 years and have always found it helpful; whether for preparing sermons, Bible study or just plain curiosity. Well Done! Fortunately I have started attending a church where the pastor is a teacher. His Sunday sermons, and his Bible study class are strictly the Word of God with Hebrew and Greek thrown in to help us understand God's Word in the original languages. He plunges right into the Word with no cute stories, jokes and other "fluff". As a tool he recommended this Bible as one to include with others for parallel Bible study. 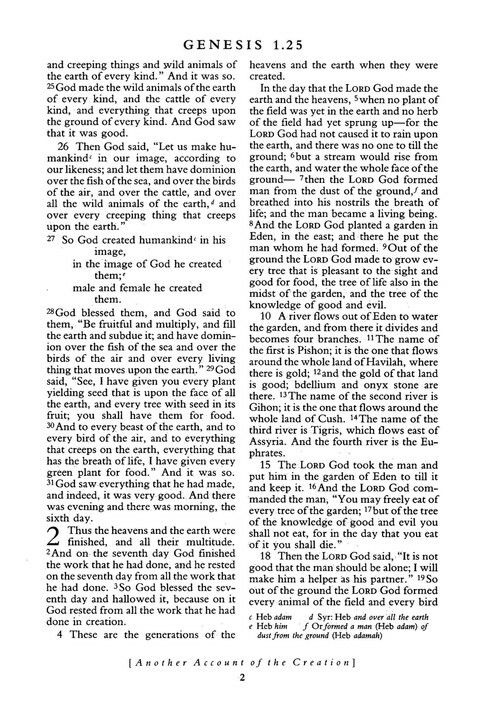 I have been using the NRSV Bible since the beginning of its publication. I used the RSV Bible when I was a student at Trinity Theological College in Singapore, 1980-1983. However, I find that the NRSV Bible is better than the RSV in translation accuracy, readability, and consistency. 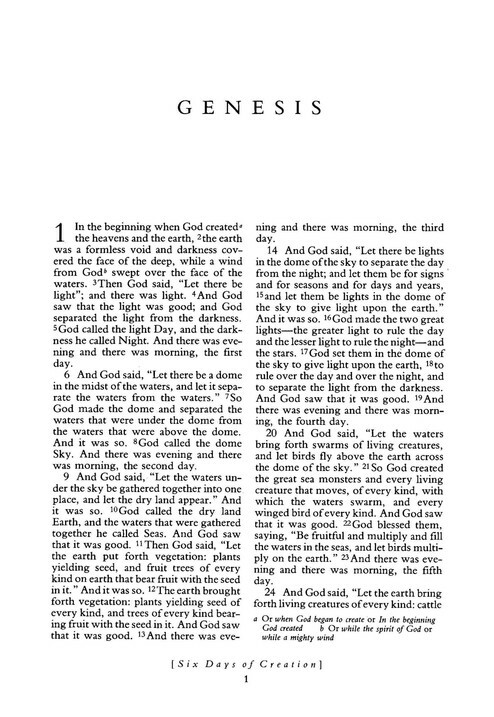 The NRSV is one of my favorite Bible versions which include the KJV, the ESV, the GNB, the CEV, and the NIV. 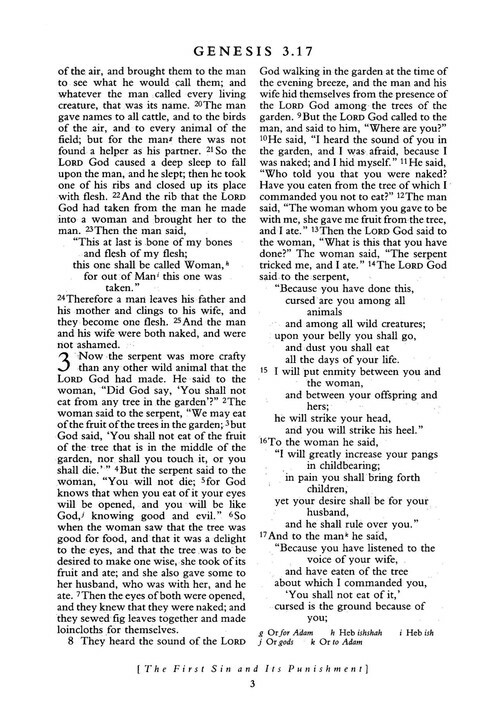 It is easy and fast now for me to refer to the NRSV after downloading the entire Bible into my e-Sword software. This has been an excellent additional resource for my study. The NRSA is a favorite. I love the fact that I got two versions of the NRSV, though one simply has additional material (the Apocrapha) that the other does not. Otherwise, they are the exact same. I would have given this deal 5 stars, but one thing, there are no footnotes in any of the modules. This is unfortunate, because I have the NRSV hard copy and the footnotes is invaluable, explaining alternate readings and sometimes why the committee translated something the way they did. So it gets 4 instead of 5. As usual eSword did it again by making available the NRSV. I forgot the Apocrypha was part of the Bible so it is a treasure. Keep up the good work, and just think, I do not have to be online to use it!!! i have had eSword for a long time and just and more to it. It is interesting and easy to use. Although I grew up with the RSV I have never been impressed with the NRSV. 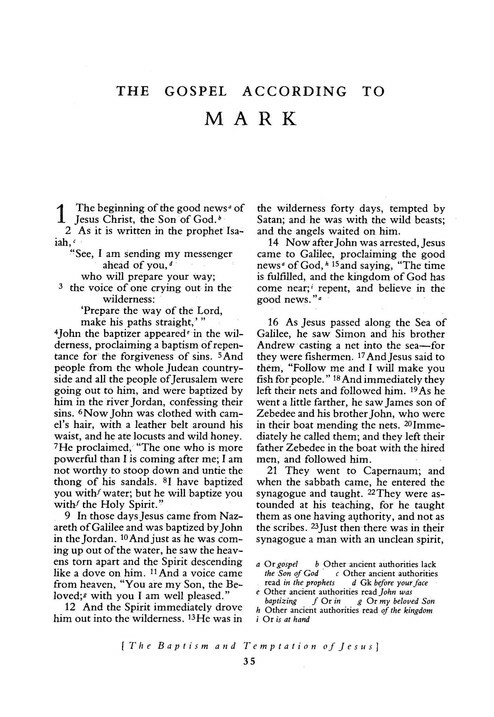 It replaces the title "Son of Man" in the OT with "human being" or "mortal" even in the prophetic passages that foreshadow Jesus' use of the title. For the sake of political correctness it uses the coined word "humankind" rather than the more natural "humanity" or even "humans". Additions to the text (e.g. 1 Samuel 10:27), while of interest, are not clearly marked as apocryphal and even less so in eSword which needs some mechanism to highlight such insertions. If you can show the words of Christ in red why not green for text which is (or should be) relegated to the footnotes? This would be useful in other versions (e.g. for 1 John 5:7). Still I needed a copy for my studies as it is much easier to copy and paste into an assignment than to type it all in. I would like to say how much esword has been a help to me over this past 2 years. I was inroduced to it through another member of the fellowship. To be able to compare different (verse) versions is great and the Hebrew and Greek meanings behind the English words has often been of immense benefit, giving so often a whole new outlook on a paticular passage. The NRSV is a good solid translation, now adopted by our church as the main translation used for readings in church, etc. It is both readable, and fairly closely faithful to the original Greek (I have no Hebrew, so cannot comment on the Old Testament.) It is the main, but not the only translation I use for sermon preparation. The NRSV is a great resource, especially with the Apocrypha! 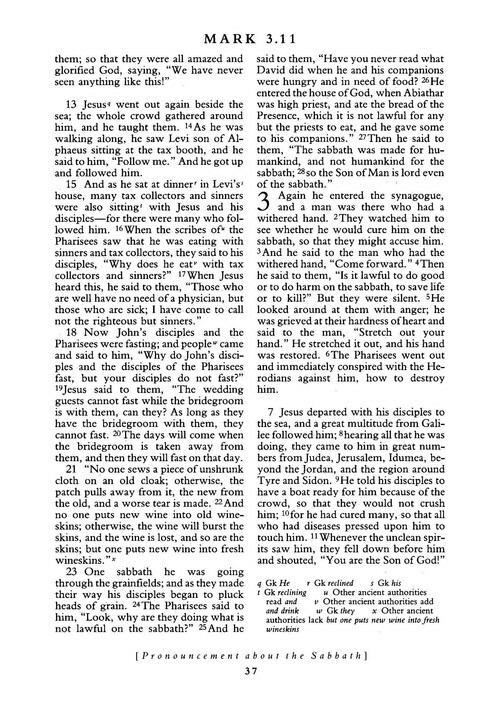 As a digital resource, passages can be easily selected and pasted into sermon or topic outlines, and then printed out, making it much more handy than in book form etc. Excellent product. I'm a bit new to it, however, as far as I can tell it lives up to the high standards which I have come to associate E-Sword. I would have preferred Strong's Number capability, however that does not reflect on the order. The translation seems to be very well done, and it works beautifully with E-Sword as usual. The Apocrypha covered in the version which I ordered are fascinating and I would personally request the future provision of as many apocryphal works as can be found, as well as some work on the Dead Sea Scrolls. I also congratulate you on the latest E-Sword program, which includes an excellent interface. Thank you and congratulations on a fine product. I’ve been using E-sword since version 2 when I found it many moons ago. I have a fascination for the Apocrypha and other old biblical books as well like Enoch. 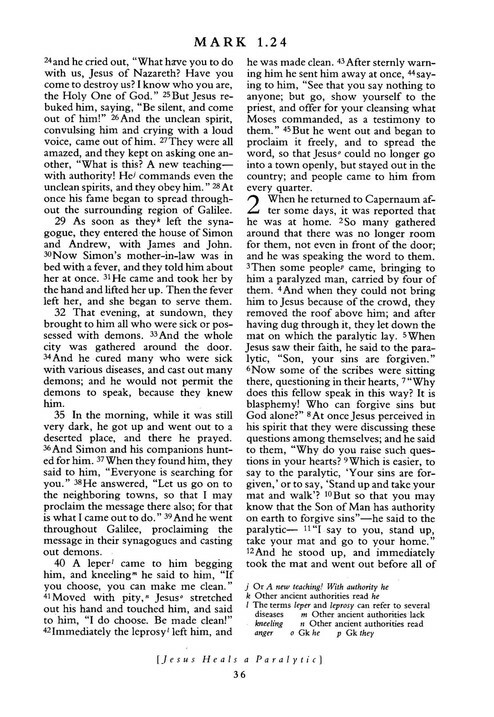 This the first online book I’ve come across with the Apocrypha translated into modern English so instead of reading archaic English like this in 1st Maccabees 7:1 “In the hundred fiftie and one yere, came Demetrius the sonne of Seleucus from the citie of Rome with a smal company of men, vnto a citie of the sea coast, and there he bare rule.” It is like this “In the one hundred fifty-first year Demetrius son of Seleucus set out from Rome, sailed with a few men to a town by the sea, and there began to reign.” So much easier to comprehend. Probably the best current translation available - readable and accurate for scholarly study. This is an excellent rendering of the text into the e-sword software. Only small niggle - would have been nice to have an anglicised version with British spellings. The purchase was fast and easy. The New Revised Standard Version speaks for itself. I am very pleased to have this translation available with E-Sword since it is the preferred translation for "in classroom use" at the University so everyone is reading the same text. I use it for school and also for personal study. It is pretty faithful to the original texts. The only shortfall with the E-Sword version at this point is that it does not have the excellent NRSV translator's footnotes with it which often explains why and how the translators varied with or clarified the meaning of the original texts. I still have to resort to my paper copy for that information. Hopefully, they will be included at some point on E-Sword. I have come to expect excellence when I purchase a product from eStudySource, and I was not disappointed with the New Revised Standard Version for e-Sword. The quality of the product is superior, and it works perfectly within e-Sword unlike a lot of other computer programs from other companies. Thanks. Haaving multiple current translations immediately available make Bible study more fulfilling and rewarding. This is another translation that helps in understanding God's message through the writings of His prophets and Jesus' apostles. I really trust the translation, not 100 percent as I do not trust any translation 100 percent. But the NRSV is a very good and dependable translation. This was a very good price for such a good deal. Each morning I send out a scripture verse and prayer by e-mail to those whom I've help disciple to the Lord Jesus Christ. The list of readers has expanded to include seekers in many countries. 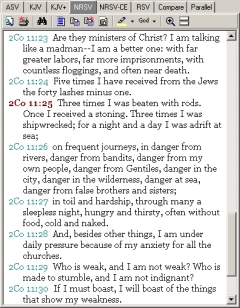 e-Sword helps me compare versions to choose the one that communicates God's inspired word in the most effective manner to English and Russian language readers.